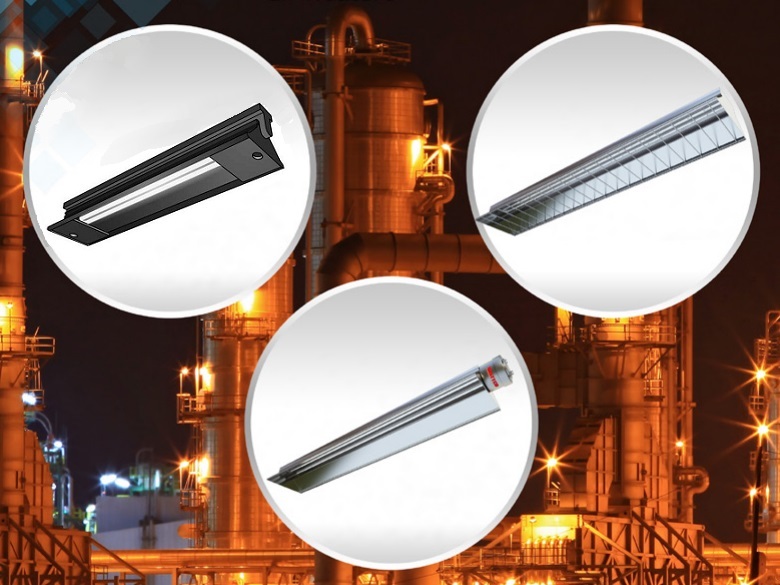 Penn Radiant is a leader in electric infrared heaters, radiant heaters and quartz heaters for industrial process heating applications. We supply high quality, energy efficient infrared heaters offering the performance and reliability you deserve. We offer excellent customer service and solutions to each customer. Heating elements are items that convert electrical energy heat, typically doing so using the resistive heating process, also known as the Joule heating process. Heating elements are produced using a variety of different materials, including metal, ceramics, composite alloys and polymer PTC (positive temperature coefficient) rubber. These various heating elements are used to provide heat any number of electrical devices, such as heaters, toasters and ovens. One particular type of heating element that is different from many others is the infrared heating element. Infrared heating elements are different from their fellow heating elements because of how they get their heat, which is from infrared waves. Infrared waves may be classified as a type of electromagnetic radiation. In turn, electromagnetic radiation is simply made up of waves of energy on the electromagnetic field. Joining infrared waves in this fields are radio waves, micro waves, gamma radiation, x-rays, visible light and ultraviolet light. Infrared heating elements are known to transfer heat far more effectively and efficiently than other heating elements. The main reason that they are able to boast this distinction is the fact that when heat is being transferred using infrared heating elements, very little energy is lost to air. Infrared heating elements are popular for use in heating systems, in curing processes, in cooking, in plastic welding, in plastic shrinking, in plastic preheating, in glass heating, in metal heating and for the warm suckling of animals in zoos or at veterinary clinics. In addition, because they do not need to establish direct contact in order to transfer heat, infrared heating elements are considered to be of great value to vacuum applications. To accomplish all tasks in the best way possible, infrared heating elements are made using a variety of different materials. First, many infrared heating elements are produced using wire coils wrapped in an insulating or protecting material. Most commonly, these wire coils are made from tungsten, but they may also be made from other metals, such as nichrome, kanthal and cupronickel. Nichrome, also known as chromel, is a mixture of nickel and chrome, with the dominant element being nickel. It exhibits high levels of resistance and the first time it is heated, it forms an adherent layer of chromium oxide. This layer later serves the heating element well, preventing the material beneath it from oxidizing and deteriorating faster. “Kanthal” refers to an entire class of alloys. Alloys in this class are highly resistive and are composed primarily of iron, chromium and aluminum. Cupronickel, also known as copper-nickel, is another resistive wire. This alloy is composed of, as its name suggests, copper and nickel. Other materials that may be used to create infrared heating elements include glass, quartz and ceramics. To generate heat using infrared heating elements, an electric current must pass through the coils. When the current passes through the coils, it is met with resistance, an experience to which it responds by generating heat. Upon its generation, the heat emitted outwards in the form of infrared radiation. As infrared radiation, it conveys thermal energy, i.e. heat, to the items with which its waves come in contact. Infrared radiation, or radiant heat, is a very strong type of heat source because, unlike so many other heat sources, it does not need a secondary medium to convey heat. Rather, it can travel to and be absorbed by surfaces on its own. It can also penetrate liquid materials, solid materials and gases alike more easily and more completely than, say, convection heating elements. Likewise, infrared heating elements can also penetrate surfaces more efficiently than ultraviolet heating elements, which can only work with the addition of light waves. Shoppers are afforded a variety of options when it comes to their infrared heating elements. They are available in both standard and custom configurations. Customers may order elements in horizontal orientations or vertical orientations and they have many choices of caps, including tipped end caps, standard end caps, flat end caps, insert caps, over caps, slotted over caps, notched over caps, tipped insert caps, flat over caps, heavy duty tipped over caps, tipped over caps and tipped long insert caps. All of these caps are available in different sizes, which are typically one inch or under. Individual infrared heating elements are available with numerous tolerances, including electrical tolerances (resistance/wattage, maximum voltage and maximum amperage), length tolerances (heated length and tube length plus ceramic length) and cold ends. Likewise, they are available with a variety of physical specifications, including their inside diameters, outside diameters, terminations and lengths.